A fire broke out at a refugee camp in Diavata, Greece, according to reports on social media. 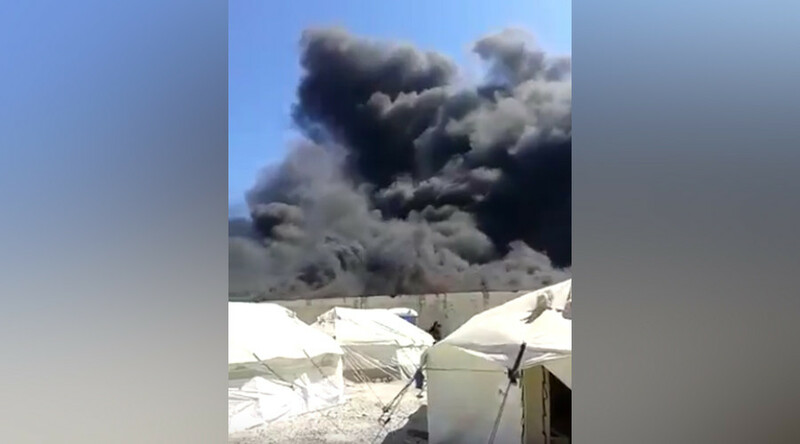 Many tents were reportedly burned. The fire has since been put out, and several people are being treated for smoke inhalation. Just over 2,300 refugees live at the camp, which is located near Thessaloinki. Local residents protested against the construction of the camp in February, which is housed on a former military site. “We are not racists, we are not fascists, we just want to keep our place safe,” the demonstrators chanted at the time. Around 54,000 refugees and migrants have been stranded in Greece after Macedonia and other Balkan countries closed their borders to new arrivals in February. Protests have frequently broken out at the Idomeni camp since then, where an estimated 11,500 refugees are currently housed in squalid conditions. The camp has been described as a “modern Dachau” by Greek Interior Minister Panagiotis Kouroumplis. It comes as Europe continues to face the biggest refugee crisis since World War II, with over a million migrants arriving to the continent last year. Most of the refugees are arriving from Syria, where a civil war has killed 250,000 people and displaced more than 12 million since 2011, according to UN figures.